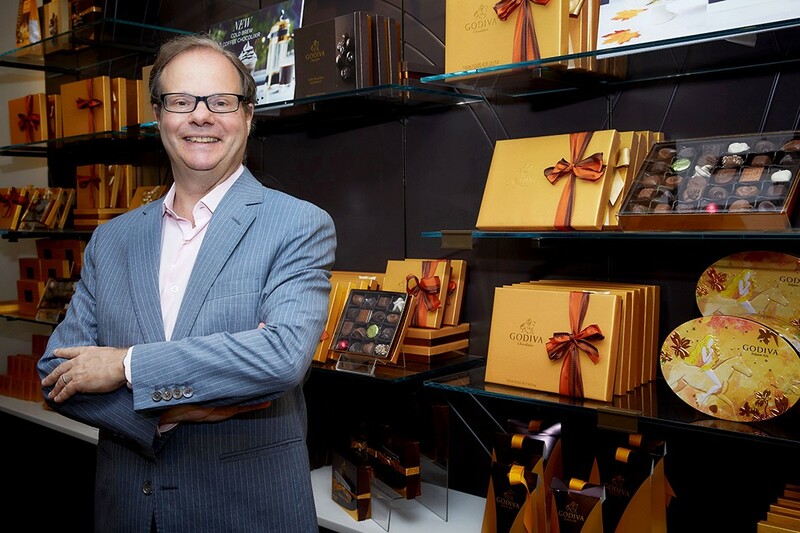 I had the pleasure of interviewing Jérôme Chouchan, President of Godiva Chocolatier for Japan, South Korea, Southeast Asia, India, Australia, and New Zealand. Jérôme has a master’s degree in management from the Grand Ecole HEC Paris and has extensive management experience in Japan and Asia, having worked for premium global brands such as Lacoste, Hennessy, and Lladro. He has practiced Kyudo (Japanese archery) in Japan for more than 25 years and is the author of Target: Business Wisdom from the Ancient Japanese Martial Art of Kyudo (LID Publishing, 2018). In the summer of 1983, I came to Japan for the first time after visiting the Philippines and Thailand. For someone like me who was raised in Europe, visiting Southeast Asian countries satisfied my curiosity for something new and different. But my purpose for visiting Japan was more spiritual. I had been charmed by the world of Zen and had read a great deal about it. Fast forward seven years… I was living in Japan, pursuing a career in business and my interest in Zen reemerged. This time, I was attracted to the practice of Kyudo — “The Way of the Bow.” Also known as traditional Japanese archery, Kyudo is influenced by three spiritual currents: Shintoism, Zen, and Confucianism. Gradually, as I practiced Kyudo, the teachings of these spiritual currents permeated my management style and impacted the way I approached my business targets. During the tsunami and earthquake that hit Japan in March 2011, most luxury and foreign brands closed their operations. We decided to keep most of our shops open. The decision to keep our shops open was not an easy one. There was a lot of confusion around what was happening, especially with the Fukushima nuclear plant. With my management team, we decided to take the local approach and operate like other Japanese companies: keep business continuity and stay open. Since many foreign companies decided to close temporarily, they sent their Japan-based employees abroad. I’ll never forget how quiet the streets of Tokyo seemed. In the compound where I was living, 30 expat families dwindled down to just two people: myself and another executive. My wife and children left for Hong Kong, but for me, as the global CEO, I felt the need to stay with my Japanese team. Each day, we held in-office crisis meetings to help cope with the daily changes. Keeping my focus on day-to-day actions helped chase away any thoughts of worry or fear. In the stores, customers were happy to find moments of relief through our chocolates. Customers regularly passed on words of gratitude to shop employees, expressing how happy they were to provide comforting chocolate gifts to their family and friends. These warm messages improved the overall morale of our management team and helped keep us in business during such a trying time. In an overall flat Japanese economy and chocolate market, Godiva Japan managed to double its business in just five years. It became the number one market for Godiva worldwide, even though Japan is not the biggest chocolate market in the world. -Products: We created and launched several new products to cater to various occasions. Godiva was no longer just a gift for others, but now a treat for yourself under the umbrella of “My Godiva.” We developed seasonal summer products such as soft serve, cookies, and drinks. Our premium soft serve was very successful and was later rolled out to other markets around the world, from the US to China. -Channels: We developed new sales channels, including convenience stores. As a result, all retail channels experienced sales growth without cannibalizing one another. In Japan, no other brand exists in a multichannel environment, ranging from prestigious department stores to convenience stores. Godiva does. -Brand image: We strengthened the “aspirational” attribute by using first-ever television commercials with luxury codes. We asked well-known global designers to design our packaging. We also refurbished our stores to make them more engaging and vibrant. One exciting project we are now working on is a Godiva Chocolate Cafe, which features amazing products customers can enjoy at different times throughout the day. For example, we want our customers to be able to enjoy Godiva for breakfast, lunch, and as an afternoon indulgent sweet. Our chefs are now working on creating all day recipes that leverage white and dark chocolate in creative ways. We want people to think of Godiva not only as a gift brand, but as a brand to enjoy for themselves. I am excited to find new ways to continue to grow a business that is already very successful. Innovation is key — what has made us successful until now is not what will make us successful from now on. We are constantly making new products and researching strategies to create new consumer channels. Think of customer satisfaction always. If the entire organization is focused on that single metric, employees will find meaning in their jobs and will feel engaged. As a result, financial results will follow. This is simple to say, but very demanding to put in practice day in and day out. It is the responsibility of the CEO to structure the entire organization based on this principle. My Kyudo teacher always told me to have more confidence in myself. She insisted that confidence is beyond logic and analysis. At the moment of full draw, we must release our arrow with full power and energy, leaving behind our worries. The practice of this mindset has proven to be very useful in my business, where I have to make a lot of decisions and always look forward with a confident attitude. Personally, I experienced a real struggle when I was faced with the decision to change jobs. I felt paralyzed by many factors: location, job duties, compensation package, company potential, etc. I needed the willpower and energy to simply focus on what was most important — in my case, the job duties. I recalled the words of my Kyudo teacher: “Stretch your body decisively without worrying where the arrow will go.” Through the metaphor of archery, her words taught me that the fear of failure and the unknown is what prevents us from hitting our targets. I am a Board Director of the International Kyudo Federation, whose mission is to promote the traditional values of Kyudo globally. The main purpose of Kyudo is not to become skillful at hitting a target, but to build and perfect the archer’s character through the discipline of shooting. The noble ideal of Kyudo motivates me to continue this volunteer position. What started as a solitary pursuit of Kyudo has evolved into a public role where I’m able to contribute by sharing the values (truth, beauty, goodness) and philosophy of Kyudo. What are your “5 Things I Wish Someone Told Me Before I Became CEO” and why. a) Hire and fire people based on values, not skills. There have been many cases where I hired the wrong people or waited too long before I asked them to leave. I found out that most often, the major issue had nothing to do with skills or experience, but with behavior and values. And I learned that behavior and character is the most difficult thing to change in a person. b) Don’t aim for perfection. The pursuit of perfection only slows down decision-making and business development. I have learned that a good decision is not a decision where you have all the information, but a decision that gets made at the right time. In a world that is moving faster everyday, the timing of the decision has become as important as the content of the decision. c) Don’t get obsessed with numbers. When I became CEO, my responsibility for numbers was overwhelming. This can quickly become a source of unhealthy stress. In fact, the CEO should always revert back to their foundation: the customer. Thinking of the customer and how to please them makes the work much more effective and enjoyable. d) Take full responsibility for what is happening within the company. Before becoming the boss, people have a tendency to blame internal or external circumstances when something does not go as planned. As CEO, everything that happens within the company serves as a mirror for their strengths and weaknesses. It is the job of the CEO to build strength and to correct what is not working. e) Build the future. Too often, CEOs get caught up in the day-to-day operations with too many meetings. The real added value of the CEO is to allocate resources and priorities so their employees are emboldened to help build the future. In business, sales and profit should not be the goal, but rather the reward for focusing on the customer. This mindset will enable management and staff to fully engage with their roles, allowing them to focus on what matters most. The tyranny of financial metrics is an illusion that should be dissipated. It is a Kyudo teaching that gets passed down from generation to generation: Right shooting always results in a hit. In the art of Japanese archery, this means that you shouldn’t worry about simply hitting the target; instead, you should calmly focus your energy and willpower on proper mindset and form. In doing so, this right-minded shooting will naturally result in a hit. This approach allowed me to be less concerned with the targets I have in my corporate and private life. By focusing on the proper form and spirit, I was able to better achieve my goals, avoiding the trap of the obsession with the target. I would love to have breakfast with the founder of Patagonia, Yvon Chouinard. He pioneered the idea of founding a company with a purpose — a purpose that serves as the guiding principle of the company. He knows that financial metrics are only a means to that purpose.